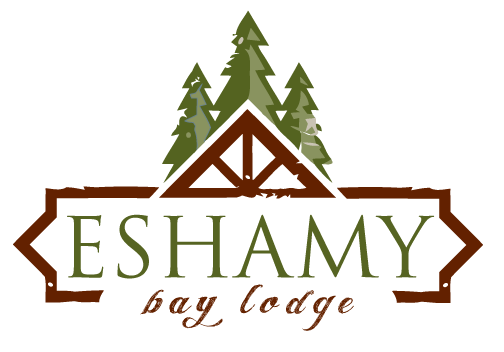 This Memorial Weekend we had a group of hunters reserve Eshamy Bay Lodge for their headquarters for Spring Black Bear hunting in Alaska’s Prince William Sound. These 6 guys took advantage of our location and upgraded from camping to sleeping in Cabin rooms and having nearby bathrooms to take advantage of. They stayed 3 nights/ 4 days and traveled throughout Prince William Sound on their boat and skiff for their unguided black bear hunts. Each day they had meals prepared for them in our Cookhouse and prepared packed lunches to take along. A campfire was lit each night, with a warm room and cozy bed waiting just a short walk away. This group enjoyed their stay in the Alaskan Wilderness with us and some of them even squeezed in some fishing! 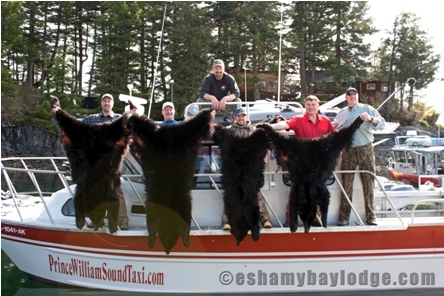 These guys took camping to the next level and it paid off… 4 out of 6 got their Prince William Sound Black Bear! We hope to see this group again and we’re glad they had such a successful Black Bear Hunt! What a great trip to start off the season!